How Much Should DJs Charge? How much should DJs charge for their first few DJ gigs? It’s a perennial question asked by almost every fledgling DJ, but unfortunately, there is no easy answer. The following guide should, however, offer some clarity to help you decide. When you are starting out, do not expect to make much money straight away; most DJs don’t initially make a living just from spinning decks. For the lucky few who succeeded in making it their full-time job, it took them a long time and a lot of hard work to get there. There is no such thing as an overnight success. 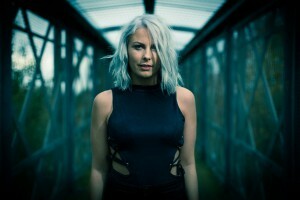 Charlie Hedges, House DJ and Kiss FM Breakfast host. Charlie Hedges, House DJ and Kiss FM Breakfast host, got her foot in the door by doing work experience at a radio station when she was 13. This eventually led to paid work. Starting young seems to be a trend amongst the top DJs. 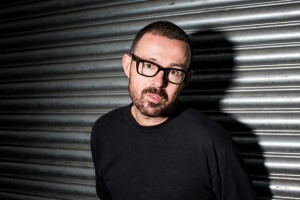 Judge Jules, who had primetime sets on Radio 1 from 1997-2012, began at the age of 16. Taking all these factors into account, the figure really could range from next to nothing for a new DJ playing a small bar in a city awash with DJ talent, to charging hundreds or thousands for a wedding gig in a remote location where you’re the only real option. And once you’re a star DJ, six-figure sums aren’t out of the question. See this leaked price list from a leading entertainment agency for a better idea of what the top acts charge. Let’s break down some of the other contributing factors in more detail. When you are working out your costs, you’ll need to consider all of the above. If you are using your own equipment, then consider having part of your fee include the cost of hiring out your gear as well as your time and skill. Many DJs, when they are starting out, may have to do some gigs for free. Hedges explains how she went from free to fee-paying gigs. Judge Jules also encourages fledgling DJs to use free gigs to gain experience, because in his opinion, being a bedroom DJ and understanding what makes a crowd tick are very different things. 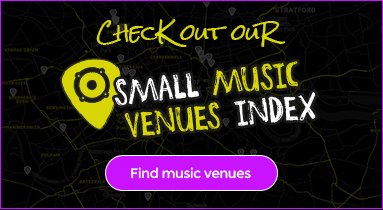 Though free gigs are a good way to gain experience and exposure, do not do too many of them – you don’t want yourself or your fellow DJs to be exploited. If a free gig is offered and you don’t think it’s worth it, say no. It’s important that you don’t gain a reputation for being a pushover. If you already have a following through another medium, then capitalise on this if possible. When lifestyle blogger Millie Cotton decided to branch out into DJing, she utilised the contacts she had already made through her blog It’s a LDN Thing. To negotiate the best fee, you need to know what your value is and the going rate for the gig. “Ideally, you want to position yourself so that you can have an agent who does the negotiating for you,” said Judge Jules. However, he knows that when you are starting out this is not always possible. “Until that time, you should ask around other DJs to see what they’re charging, and pitch your price accordingly,” he added. When it comes to negotiating, Hedges said it’s important to know your bargaining strength and how much the promoter wants you. Holding out for a big fee with a promoter that can easily find another DJ is asking for trouble. Cotton said that when she was scoping out her market, she made the most of her contacts and asked that they charge. “I have a fair few PR mates who hire DJs for these sorts of things, so I asked them what they thought. I then asked my mates who throw a variety of club nights,” she said. DJ trio Futuristic Polar Bears. A question asked by many new DJs is whether you should ask for a flat fee or set an hourly rate. 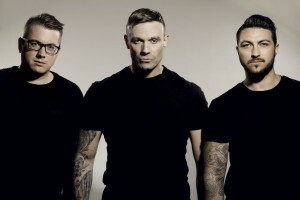 Judge Jules always recommends charging a flat fee and Luke Hayes from the DJ trio Futuristic Polar Bears agrees. He recommends DJs should charge a flat fee that includes travel, accommodation, booking fee (if done via an agency) and VAT on top. Once you have secured the gig, you need to make sure you get paid. When Judge Jules is not DJing at the world’s best festivals, he moonlights as an entertainment lawyer. He says DJs should sign a contract whenever possible, even if it’s something very basic like setting out your fee, set time and duration, and when you’ll be paid. He says you shouldn’t accept verbal agreements and should at least make sure all the details are set out at in an email at least. After all, if you don’t have a contract or have your agreement written down, it will be difficult to have any recourse if your fee is not paid. 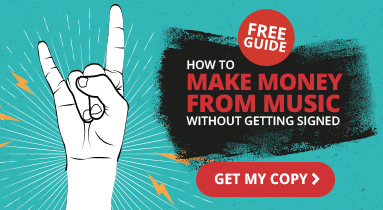 As you climb the DJ ladder, you’ll need to know how to add value to your brand. One way to do this is to build a large and active social following like Cotton. A social media presence adds value as well as helping to bring in a sizeable paid guest list for club nights. These are key factors that promoters pay attention to. When coming up with a price, Cotton factors in her collective following on her blog and on social media and uses it as a bargaining chip if she knows it’s of interest to the brand or club. Cotton also tailors her fee to the type of gig and the client’s budget. For example, she expects to be paid a higher fee from a corporate brand than for a club night. Once you have gained experience and have made a few contacts, how do you get better-paid gigs? The conventional way is to make your own records or mixtapes and get them in front of people on SoundCloud and Spotify. ← Previous post 7 Things Only Unsigned Musicians Would UnderstandNext post → Why Do Private Music Teachers Need Insurance?